Slavery in Africa: Did the US cause the current crisis in Libya? Okay so I had a cool intro planned. I was going to talk about how, despite us being from different parts of the diaspora, Black people from every corner of the world should condemn what’s taking place in Libya right now. I like to write with a bit of flair and being anecdotal or constructing a cool metaphor has been my go-to method of writing the introductions for these articles up until now. Due to the severity of what’s going on in Libya though, I think now’s as good a time as any to cut to the chase. Just as an update for those who may not be in the know: Slave auctions and slavery in Libya have come to the forefront of news media in the past few weeks. Though slavery has been a centuries old issue both in Africa and the world over; This current situation has some... unique causes. Though a number of things can be considered catalysts for Libya’s current issues; some people blame U.S. intervention for the countries current woes. Let’s take a trip back to 2011. It was during the spring of that year where one name kept popping up: Muammar Qaddafi. 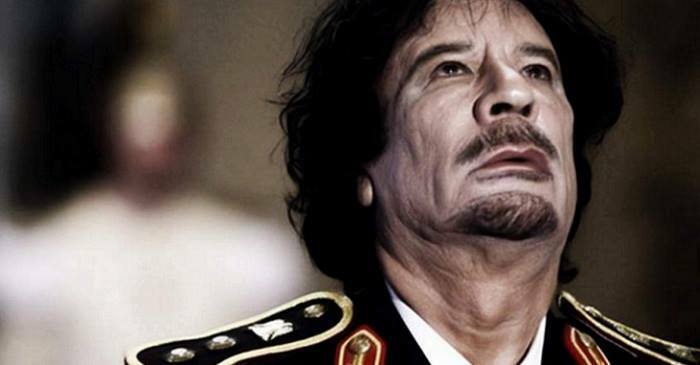 This Libyan leader was met by the rebellion of his own people who considered his leadership oppressive. The US and NATO soon intervened and, though they were successful in overthrowing Qaddafi, their actions lead to the destabilization of Libya. This destabilization is what many feel lead to Libya’s current climate. With the nation’s Government infrastructure now in shambles due to their lack of leadership, Libya has essentially become a land of the lawless. It’s in this land of the lawless that the slave trade has unfortunately found new life. What’s most disturbing about all of this to me is that the US seems very uninterested in intervening this time. The threat of Qaddafi was enough to spur a reaction from not only the US but also the United Nations. Sadly, there seems to be no such urgency this time around. Though news outlets have evolved from being quietly indifferent about Libya to occasional reports about the subject in the past few weeks, our government has remained pretty indifferent despite any form of slavery pretty much embodying human rights violation. Seeing my people suffer through something that we’ve endured for centuries in this modern age is really heartbreaking.You’d think in 2017 with all liberal politics rampant throughout our modern world that these sorts of things wouldn’t happen anymore. Despite that, here we see black people suffering as we’ve done for decades. The world at large seems to have adopted America’s benign neglect and mentality. The only way to combat this mentality is to make sure that we as citizens talk about Libya and make sure that the suffering of human beings doesn’t get lost in a sea of entertainment news.